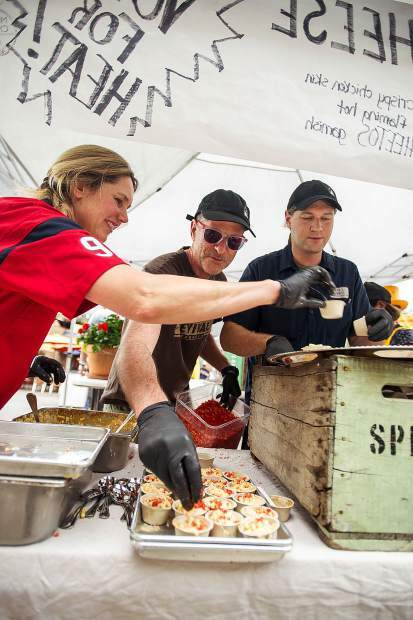 Wendy Mitchell and husband Todd, center, fill buffalo chicken mac and cheese cups for the 7th Annual Mac and Cheese Festival held on "restaurant row" in Aspen on Saturday. 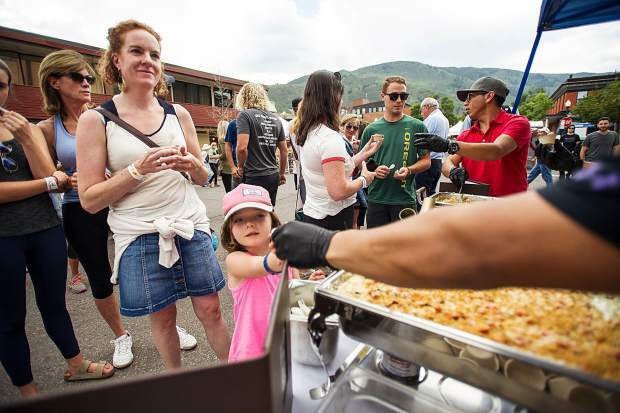 Thea Rioux, 5, gets handed mac and cheese from the Cache Cache booth for the 7th Annual Mac and Cheese Festival held on "restaurant row" in Aspen on Saturday. 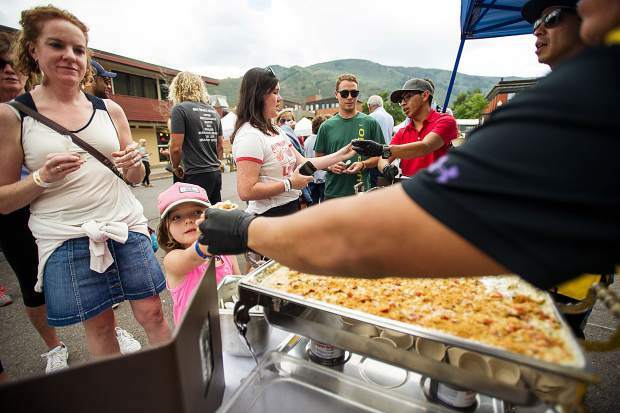 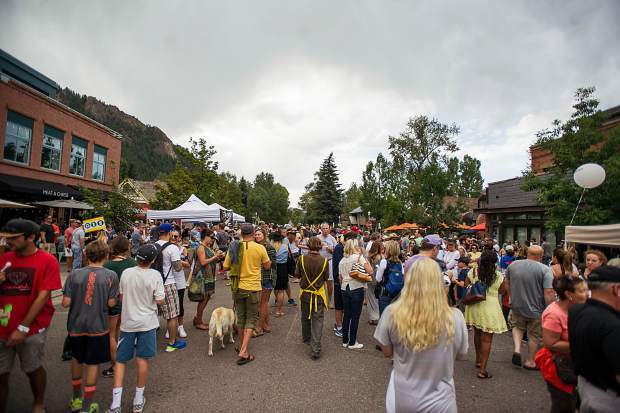 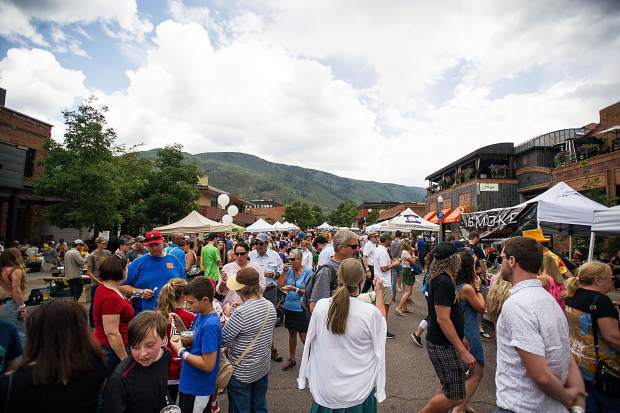 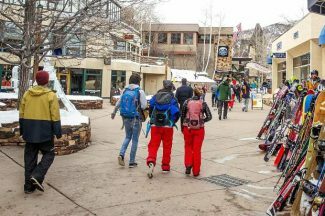 The crowd for the 7th Annual Mac and Cheese Festival held on "restaurant row" in Aspen on Saturday. 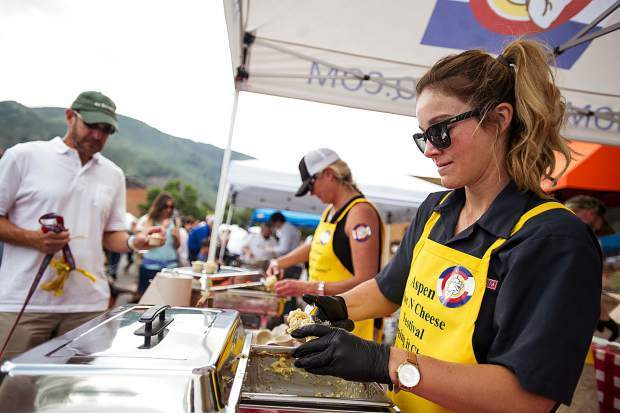 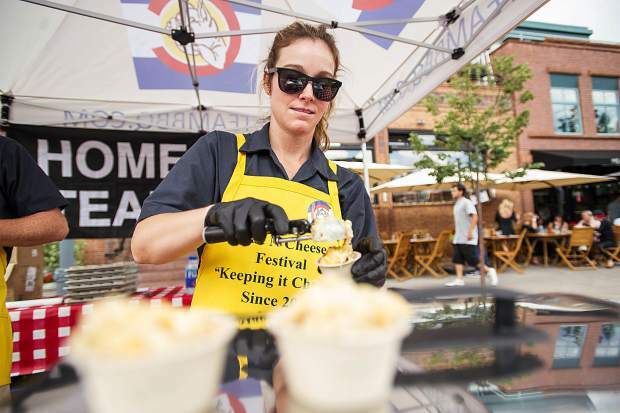 Amy Fritzsche of Home Team BBQ fills a mac and cheese cup with their smoked gouda mac and cheese for the 7th Annual Mac and Cheese Festival held on "restaurant row" in Aspen on Saturday. 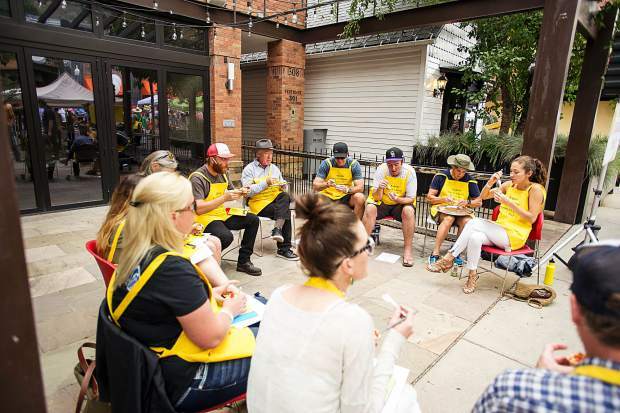 The judges doing a tasting for the 7th Annual Mac and Cheese Festival held on "restaurant row" in Aspen on Saturday. 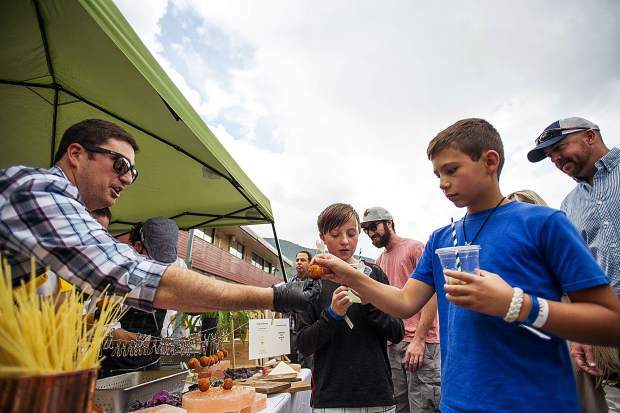 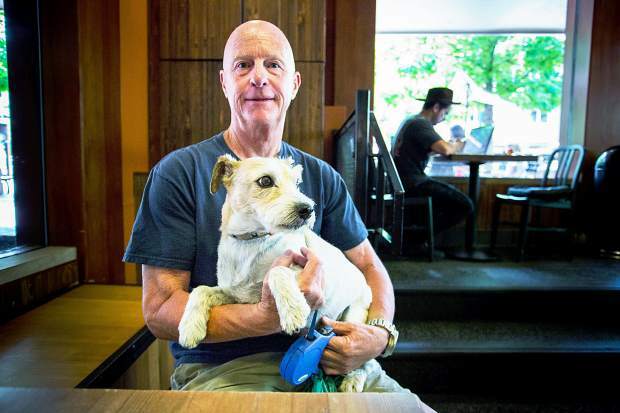 Mike Goldman of Aspen Kitchen serves up Chef Emil David's chipotle mac and cheese lollipop with tillamook cheese and doughnut crust for the 7th Annual Mac and Cheese Festival held on "restaurant row" in Aspen on Saturday.